If you are traveling in economy class, you can wait for your flight in the comfort of the Above Ground Level Lounge. Above Ground Level Lounge is a modern & hip airport lounge where the travelers are guaranteed a relaxing experience while indulging in the various comforts offered by the lounge. Above Ground Level Lounge at Kempegowda International Airport (BLR) offers amenities and premium services to refresh your senses for your onward travel. This lounge offers many eating options wide variety of food that includes a buffet spread, live dosa & waffle station. You get Free WiFi, clean restrooms, laptop and mobile charging points and a smoking room. Alcohol is also served but is chargeable. Accessible 24 hours a day, Flexible voucher can be used anytime with-in 365 days of booking. Above Ground Level Lounge at Bangalore Airport is one of the largest airport lounges in India spread over 13,000 sq. ft., with over 250 people capacity. The seating is area is large and airy with a view. Also it is one of the few lounges that offer Recliners. Voucher can be used any time with-in 365 days of booking. Domestic Departures (After Security): Above Ground Level, Mezzanine Level. 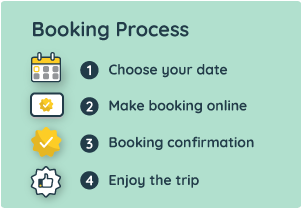 You will receive a confirmation email instantly and booking voucher after booking.